In product liability litigation, some plaintiffs attempt to claim that a manufacturer failed to warn them of the potential risks and side effects associated with a medical device or prescription drug. When such a claim is raised, it is important for your Brownsville defense lawyer to be prepared and ready to challenge the viability of such a claim. Texas courts have adopted the “learned intermediary” doctrine. This legal principle established the fact that a manufacturer’s warning to an intermediary (e.g., your doctor) fulfills the manufacturer’s duty to warn consumers of the potential risks associated with a product, according to Judicial View. This means that even if a plaintiff did not read the full list of potential risks and side effects, but their doctor did, a plaintiff’s failure to warn claim could be challenged. In the context of a product liability claim involving a prescription drug, Texas courts have held that warnings issued by the drug manufacturer are adequate when the warning specifically mentions the circumstances that are present in the plaintiff’s product liability claim. So, for example, if a drug specifically mentions a risk of developing blood clots when used, it is possible to challenge a plaintiff attempting to claim the manufacturer failed to warn them of the risk of blood clots. In addition to the learned intermediary doctrine, Texas courts have adopted the “read and heed” presumption in certain product liability claims. Under this presumption, if evidence is presented that a product manufacturer failed to provide an adequate warning, it will be presumed that the patient would have heeded such warning. Numerous courts, including Texas courts, have declared that a “black box” warning placed on a product or device is the strongest warning required by the U.S. Food & Drug Administration (FDA). For example, in the product liability case In re Chantix (Varenicline) Products Liability Litigation, 881 F. Supp.2d 1333 (N.D. Ala. 2012), the court stated that under the law of any state, a black box warning on-point with the claims raised by a plaintiff was adequate as a matter of law. The court went on to declare that a black-box warning was the highest level of warning possible. In another case, Aaron v. Wyeth, 2010 WL 653984 (W.D. Pa. Feb. 19, 2010), the court similarly held that a product’s black box warning adequately advised physicians of the risks of the product thereby blunting the plaintiff’s claim that the manufacturer breached its duty to exercise reasonable care to inform physicians and others of the risks. A Texas court in Whiteside v. Johnson & Johnson, 2015 WL 11120990 (N.D. Tex. 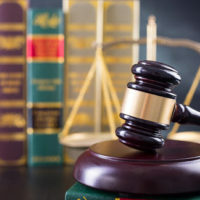 July 8, 2015), dismissed a plaintiff’s claim with prejudice when a plaintiff claimed a drug manufacturer failed to adequately warn them of the risks of the drug, even though the product featured a black box warning about the risks associated with the drug. The Brownsville product defense attorneys at Colvin, Chaney, Saenz & Rodriguez, L.L.P. are ready and able to put their talent, work ethic, and skills to work for your company. Contact our office to schedule a confidential meeting to discuss your legal options.